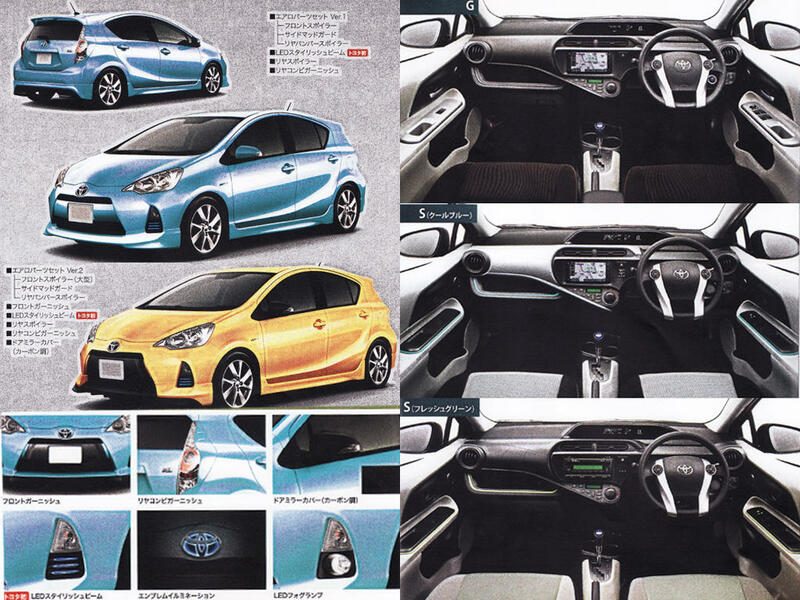 Following numerous spy photos, the first brochure images of the upcoming Toyota Prius C/Aqua supermini have been leaked onto the Internet. 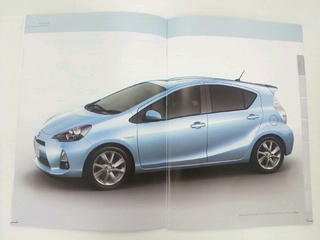 The sub-compact hatchback will measure at 3,995mm (157”) long, 1,695mm (66.7”) wide, and 1,445mm (57”) tall. Motivation for the vehicle will come from a petrol-electric drivetrain that can produce 73bhp (75PS/54kW) from a 1.3 litre petrol engine with 111Nm (82lb-ft) and a 60bhp (61PS/45kW) electric motor producing 169Nm (125lb-ft) of torque, although combined output will be rated at 99bhp (100PS/74kW). This will be mated to a CVT transmission that will use 35.4km/l (2.8l/100km) of fuel, although, one can't directly translate from the Japanese cycle to the European/American cycle. 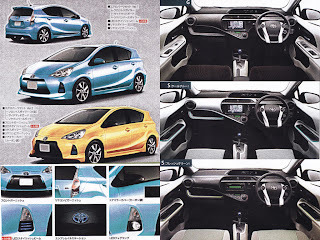 While the Prius C concept debuted at the 2010 Detroit motor show, the production model, called Aqua for the JDM (Japanese Domestic Market), will premiere in Tokyo next month with the North American model debuting at the 2012 Detroit motor show.